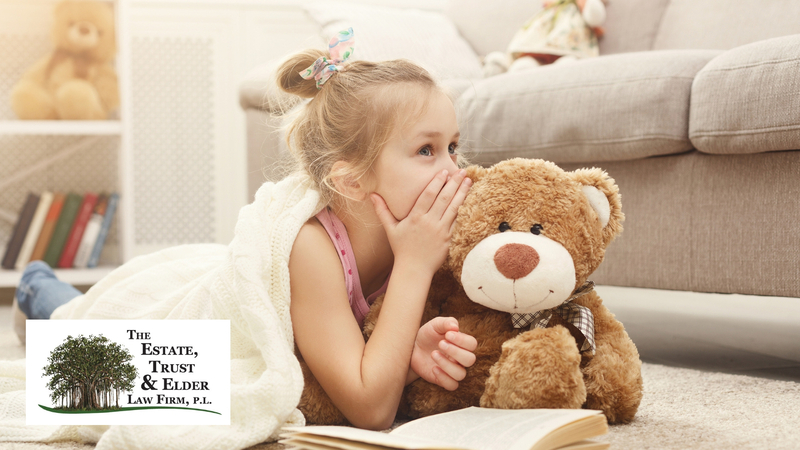 Florida Estate Planning You Need When You Have Minor Children | The Estate, Trust & Elder Law Firm P.L. We know that it can be challenging to think about who will care for your children in the event of your death. Although this challenge may start with identifying who would care for them in a crisis, have you thought about how difficult it would be for your children and this person if you do not outline your wishes in advance? One way to ensure your children are not left to the court to decide these unanswered questions is for you to set up a comprehensive estate plan. This important set of documents we want to discuss with you right now provides you with flexibility to detail legal specifics, such as who has access to your finances and who is responsible for making important decisions. By planning early, you can choose the guardian who will watch over your children. Our goal is to share tips for you to consider about creating an estate plan so you can establish the right authority for your children and address your unique planning needs. Tip 1. Regularly check-in with your chosen guardian to ensure he or she is the best person for the job. There may come a time when you no longer think the person you initially chose to take care of your children is still the best person to undertake that role. By being proactive and checking in with your chosen guardian occasionally, you can ensure you are on the same page about your children’s care. Consider whether the guardian shares similar ideals to you. Does he or she respect your religious beliefs? Does he or she understand your goals for your children’s future? Does he or she know what motivates your children? It is important to reflect on these questions from time-to-time so you can remain comfortable with the choice you made. Tip 2. Ensure your chosen guardian is prepared to take on the additional financial responsibility. There is no doubt about it, raising children is costly. That is why it is important for you to financially prepare for your children’s future through an estate plan. One of the benefits of creating an estate plan is that you can set up trusts for your children and determine at what age they receive the funds within them. Although it is ideal that your chosen guardian will be financially responsible, you may wish to consider whether you would like to assist with the guardian’s personal finances such as a house or car payment while he or she is still caring for your children. This can all be identified and discussed with your estate planning attorney, and then outlined in your estate plan. Tip 3. Discuss your decision with both your spouse and an estate planning attorney. Above all, it is crucial to see eye-to-eye with your spouse on who to appoint as your children’s guardian. While you both may have different goals or requirements, it is imperative that you agree on who will take on this fundamental role in your children’s lives. An effective way to sort through this is to discuss your decision with an estate planning attorney. He or she can present all of the planning options available to fit your unique needs and help answer any and all questions you may have. Did this article raise questions for you? Do not wait to contact our local legal team. We are the estate planning attorneys here to support you.